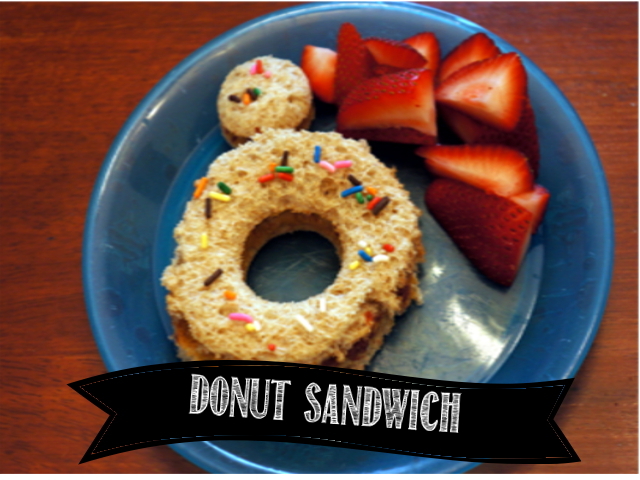 Today, I want to share a fun lunch idea for the kiddies, Donut Sandwiches! 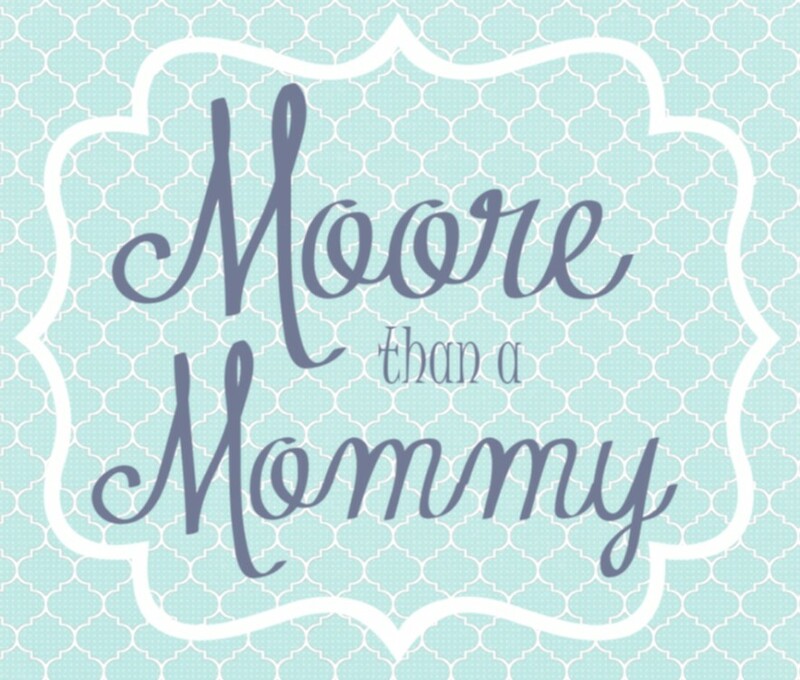 This is a fun and easy way to bring a little excitement to the table. 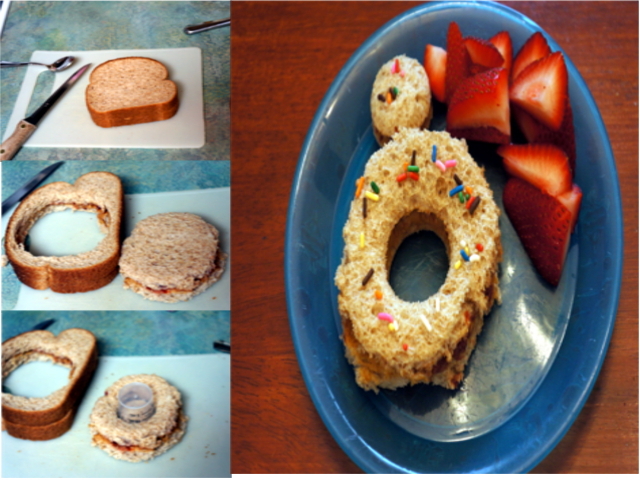 The donut sandwich pictured is PBJ, but I think you could do it with any type of sandwich you want. Step 1: Make your sandwich. Step 2: Cut a large circle from your sandwich. I used a knife, but you could use a cookie cutter or any other large circular item. Step 3: Use something small and circular (I used a medicine cup) to cut a small circle from the center of the large circle. Step 4: Add Sprinkles! You can’t have a donut without sprinkles, right? Step 5: Watch the little ones ENJOY! What fun things do you like to do to get your kids to eat their food?